Leaving familiar surroundings behind and moving to a new city is an overwhelming, challenging experience. 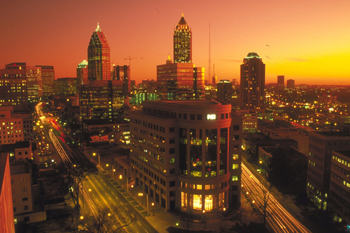 Since 1996, Newcomer magazine has been the leading, preferred resource for individuals and families relocating to Atlanta. Our informative editorial content not only provides detailed, comprehensive information, but also guides readers to the businesses and services that are necessary and vital for them to find before, during and after their move to Atlanta. Regular departments include topics on everything those relocating to Atlanta and new residents will need to know, including the real estate and home-buying market, schools and education, dining, arts & entertainment, shopping, travel and the inside scoop on living in Atlanta. Plus, every issue features vital, up-to-date relocation essentials, county-by-county guides, neighborhoods, maps, resource directories, moving tips and much more--everything needed to get started in one easy, convenient, comprehensive guide.